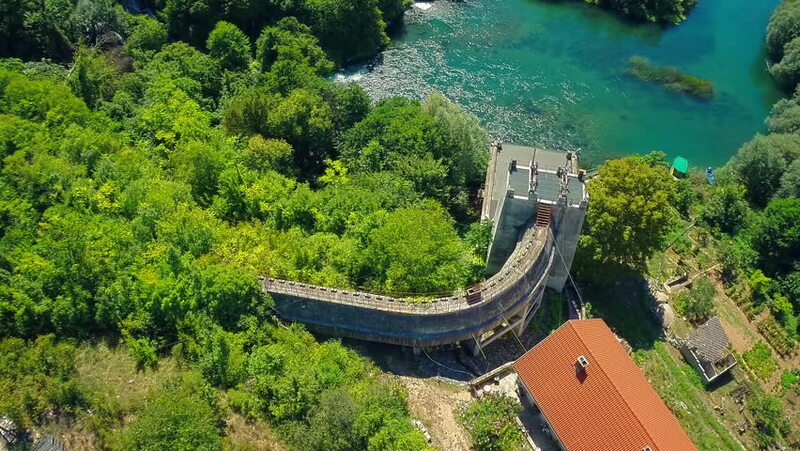 Copter aerial view of the old Hydroelectric Power Plant on river Krka, National Park of Croatia. It was built in 1910. 4k00:16Aerial view of Trang An Scenic Landscape Complex, a UNESCO World Heritage Site in Trang An, Ninh Binh Province, Vietnam. 4k00:15The road to Krasnaya Polyana Sochi, Russia. 4k00:25Scenic shoreline with beaches, docks and marinas in beautiful Egg Harbor Wisconsin. hd00:22Resort Hotel Manor Waterfall Trees. An elegant and luxurious resort sits atop a highly elevated waterfall. An amazing view of the steep waterfall that surrounds the grounds.